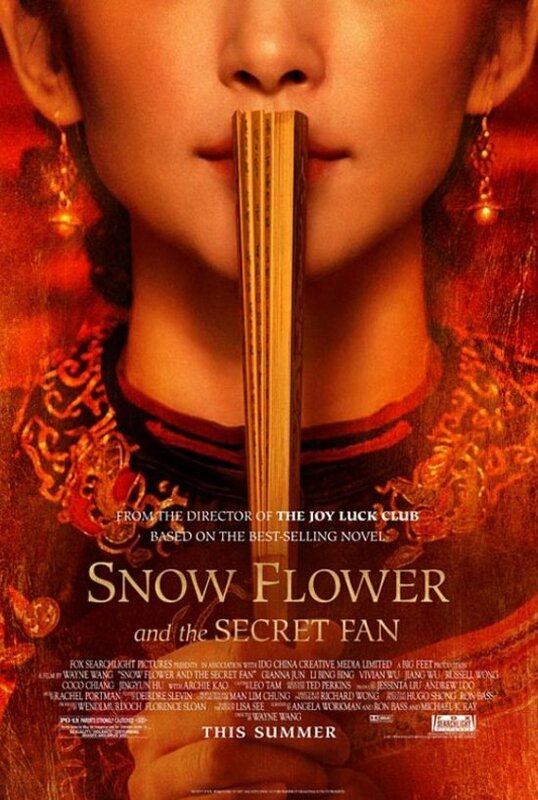 Snow Flower and the Secret Fan is a film filled with good intentions, but a poor understanding of subtlety. Wayne Wang, the film’s Chinese American director, takes aim at a particular demographic and pushes every possible button. Wang has been better; see The Joy Luck Club. I found his latest to be redundant in both message and narrative, as it essentially tells the same story twice in different costumes. Apparently, the novel by Lisa See takes place entirely in the 19th century, but for unfathomable reasons Wang decided to throw in a modern story, cutting from past to present. The Godfather Part II this is not, and the reason for that is easily explained. Coppola’s parallel narrative cut between a father’s rise to power and his son’s fall from grace, set in different time periods. We got two very unique stories out of a single film. With Snow Flower, the two stories are virtually identical; it’s a fifty minute movie that lasts fifty more. The tale begins in modern Shanghai where an accident sends Sophia (Gianna Jun) into a coma. Her successful friend, Lily (Li Bingbing), visits her in the hospital, where she recalls better times. We see the two girls as teenagers in the 1990’s forming a deep friendship bond called “laotong”. As it turns out, Sophia had been writing a novel set in the 1800’s which romanticizes this type of bond between characters named Snow Flower and Nina. Lucky us, we get to see this story play out with the same actresses. The sequences set in the past are prettier and feature more tragedy (foot binding, the Taiping Revolution, hypothermia, and all that good stuff); the modern scenes can only try their best to keep pace. By the time Hugh Jackman showed up for an easy paycheck, I was at my wit’s end with the whole thing. Frankly, no one really seemed to be trying very hard aside from the production designer and the cinematographer. Clearly, this is a woman’s film, as many great films are. In the early 1990’s, Zhang Yimou created several terrific pictures of this type in China, including Ju Dou, Raise the Red Lantern, and To Live. Over in Taiwan, Ang Lee was making Eat Drink Man Woman, where his ability to bring rich female characters to the screen persuaded Emma Thompson to select him as director for 1995’s Sense and Sensibility. I love all of those movies. My being a man had nothing to do with the fact that I disliked Snow Flower and the Secret Fan. I predict that most women will find it equally poor as it is just not a good movie. Period. Josh Brolin To Star In Spike Lee’s ‘Oldboy’ Remake!!! This entry was posted on Sunday, July 24th, 2011 at 12:19 am	and is filed under Film, News. You can follow any responses to this entry through the RSS 2.0 feed. You can skip to the end and leave a response. Pinging is currently not allowed. « ‘Walking Dead’ Panel At Comic Con 2011 Releases Premiere Date and New Trailer!! !